Went to Voll farm to photograph horses today. Feeling frisky in the snow. A fun photo! Looks like play time - great capture. Absolutely fantastic capture -- instant fav! Great action! 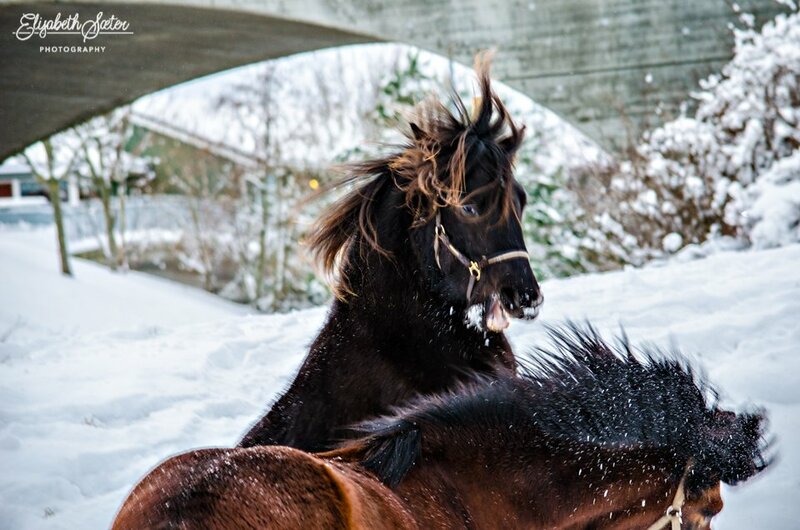 Love the flying manes and snow - fav. What a great action shop..beautiful. So much energy, well done! Neat shot and wonderful timing!